Exclusive! So stylish! 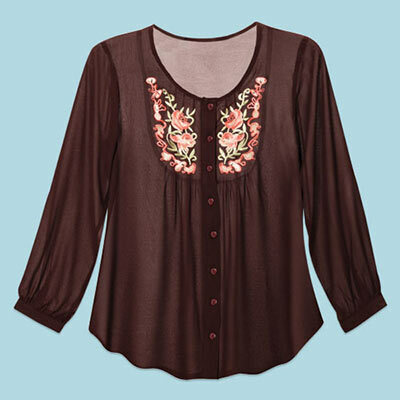 Long sleeved, chocolate brown top with colorful embroidery is made of polyester chiffon with a scoop neckline. Button front placket and shirring under yoke flatters the fit. Machine wash. Imported. Misses, approx. 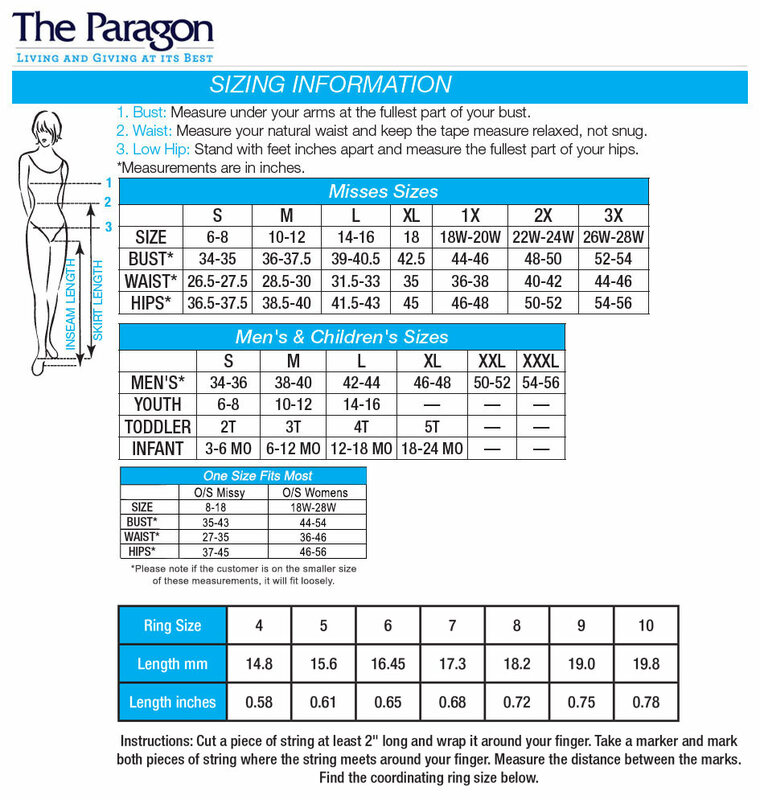 28"l. Hurry! Quantities are limited!